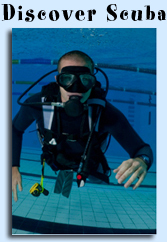 School of Fish offers training for those wishing to learn how to SCUBA dive or freedive on Long Island. 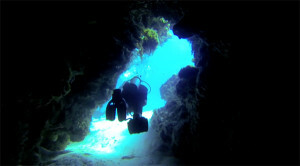 Learning to scuba dive is a 3 step process that involves knowledge development, pool training and open water training. Knowledge development is an e-Learning home study program that you can complete at your own pace on your own schedule and typically takes anywhere from 6 to 8 hours to complete. Pool training can take anywhere from 4 to 6 hours to complete (sometimes longer) there are a number of factors that determine this such as class size and prior diving experience. More often than not our pool training is done with an instructor to student ratio of 1:1 or 1:2. We do not usually have a big group of students in the pool at the same time. We prefer to work with small classes. Open water training is where you put everything you learned in the pool and from your home study into action. You make four dives and on each dive you perform some basic skills that you mastered in the pool. Click here for a full class description or here to sign up. A basic free diving class requires a small investment in time and equipment. 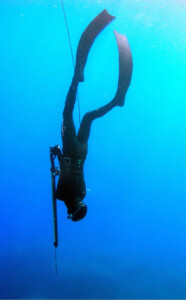 Freediving can be compared to snorkeling in that there is no scuba equipment being used. Where free diving differs from snorkeling is that a freediver is typically going deeper and staying down longer. There are safety issues involved with freediving as you start making deep dives and holding your breath for extended periods of time. The certification class teaches you important safety skills that help eliminate potential accidents. The class also teaches you the techniques needed to go deeper and stay down longer. Many freedivers also enjoy spearfishing and anyone who is spearfishing should take a freediving class so they can enhance their performance and safety in the sport.